We are becoming a culture of self, just look on your Facebook feed! Besides the inflated attention our media gives to actors and sports figures, look at how social media is dominated with the glorification of self. Everything is about being seen. I wonder what it says about people that spend so much time and energy glorifying self. I believe we crave contribution and connection, similar to my post on tough love, with addiction being related lack of social connections. Researchers discovered, between 1960 and 2008, that individualistic words increasingly overshadowed communal ones. During the same time, our empathy, happiness and well-being have decreased. Paradoxically, it seems that our culture of me is not in our own best interest! Beyond the psychological challenges of being self-centered, maybe simple humility can show us the way back to connecting and caring about our communities. Humility might be the secret power to restore some balance and empathy to our culture. It would be nice to put the “we” back in our lives. I admire people who live to serve others, often with little or no need to be recognized. They truly enjoy serving. Of course, extreme examples of this would be Mother Teresa, the Dali Lama and former President Jimmy Carter. 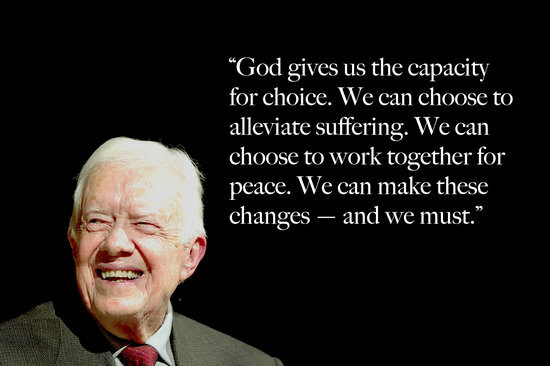 We don’t have very many models of humility in America, so I admire Jimmy Carter his character, the graceful way he is facing his cancer diagnosis, and his life-long dedication to service in public office, The Carter Center, Habitat for Humanity and much more. Political office was originally designed as public service, but has grown into self-interest for too many politicians. I think this reflects in how we treat nature too, but that’s another post. Read Nipun’s article for insightful reflections on humility’s radical power to re-connect us with community, inner power and empathy. When we serve something larger than ourselves, we find connections with life, love and compassion, knowing that everyone has something to contribute. An important post today, Brad. Now, where does blogging fit into the culture of ‘me’? Are we also making the same mistake? Great reflection..you are right about the “me” culture..the selfie images in Instagram for instance..that’s just too much sometimes. Thanks for wonderful thought! I think, learning to dive within, to love ourselves, find our purpose, fulfill our potential and have individual freedom to follow our hearts and learning critical thinking so that we can question our own culture, traditions and yes, the media feed, is what individualism is supposed to give us, and it is a good thing. I have seen the opposite and I dont like it. I believe we are here to fulfill the world’s potential and in order to do that we have to start with our own potential. Unfortunately, or maybe not, humans are not perfect, we are complicated, most humans live from a mix of heart, mind, instincts, needs, wanting to fit in and be accepted. So individualism consequently becomes complicated. We use our freedom and lack of faith in a punishing God, to serve our ego, instead of our soul. And the ego is powerful, it has to be, it is there to make sure we survive. But the ego does not serve the same purpose anymore in this developed urban world, yet it is there, but it becomes misplaced, it takes on a new job, making us vain, craving financial power, admiration, etc. I believe our strongest weapon against this is our heart, or rather our soul, I believe empathy, selflessnes, love, is easy when we are connected and live from our souls. But that means we need to learn to let our souls love our human selves, to not only serve our human self, but certainly not thinking about it as something bad or lesser either. I was against social media and networking for a long time until a friend of mine said that social media is just a tool, it is not bad or good in itself, it is what you use the tool to do that matters. I believe he is right. Social media or networking has given a voice to many who had none, and areas where there is war, conflict, supression, people can themselves inform the world what is going on, we dont have to only get news through news agencies that often are politically influenced. I believe that we cannot force the world to change, and certainly not do so by judging, critizicing or attacking people, we can only be a voice for an alternative way of being and living, and hope, with our blogs, poems, stories, photography, to inspire people to change themselves or learn to look at the world in a different way. Well stated Trini. I appreciate your gentle heart, wisdom and great reminders that we won’t change the world by judging. Much better to love, accept and show a better way to be and live. I’m happy to join you in that cause. And I have more work to do at living from my soul. Thanks for your love and guidance. 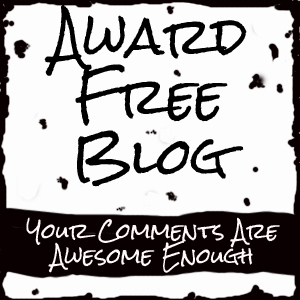 I liked Trini’s comments about what we share on our blogs as a positive inspiration of the good that is out there. I wanted to dive down a little on humility in the work place. Many businesses in America (and elsewhere) are so focused on the “me” factor, the concept of teamwork has become a facade. It starts with leadership and one of the fundamental characteristics of a good leader is humility. Humility in a leadership form means you set the vision for the team and then support the efforts of the team ahead of your own. Their success is your success. For a mid level manager that means you put your people’s success over your own as well as your bosses success over your own. By putting others first, you create a team spirit that grows even more success….such a simple concept! That’s my two cents for today…thanks Brad!! Great post!! Yes, we as bloggers have an opportunity to inspire and lift others up. Nice reflections Kirt. With leaders like you describe we might have a very different business climate. Sounds like a great vision for inspired leadership. Thanks. Oh I have to agree with Trini! In fact we are commissioned by the Lord to keep each other lifted up and as a teacher I value being inspired by others and by inspiring others. Yes well put I really think people are waking up to our emotions. There seems to be a shift to get in touch with our spiritual side that is growing this can only be a good thing and I for one am really enjoying the journey!